Baby, it's cold outside! If you have spring fever but are suffering from sub-zero temperatures, we think this trapper hat is the perfect compromise. Thank you to Eddie and Sophia for sharing, we love seeing what everyone makes with our fabrics. 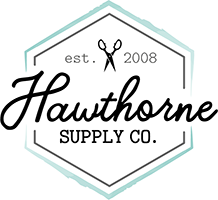 Be sure to tag your photos with #hawthornesupplyco so we can show and tell! Shopcabin has another southwestern inspired collection that is sure to stir up more than a little wanderlust. With its wild horses and bohemian blooms, Free Spirit will speak to our kindred desert loving souls. 20" Pillow showing large and small scale floral - lovely on Poplin or the Linen Cotton Canvas for a more durable option! Jet set to the Caribean island of St. John with Jennifer Paganelli. A childhood vacation destination, this island holds a special place in Jennifer's heart who "loved the solitude of the island. The beaches stretched for miles and seeing the ocean floor from glass bottom boats had us feeling very blessed." Her painterly designs capture the beauty and magic of this tropical place. 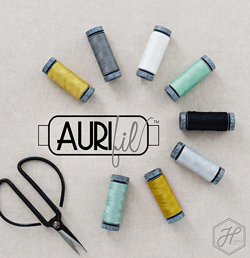 We have yardage and Fat Quarter Bundles, and don't miss the Free Quit Pattern! Introducing Corinne Haig, and her debut fabric collection for Free Spirit! Years ago, Corinne "had the privilege of being an exchange student in Japan. This experience holds many treasured memories of kind, generous people and enchanting flower gardens with pagodas and bridges. My trip to Japan holds a special place in my heart and I hope to capture some of its beauty with my Peony Pagoda collection." With its effervescent florals and romantic palette, we think this one is a beautiful choice for quilts, clothing, accessories and decor. We have yardage and Fat Quarter Bundles. The ladies over at Violette Field Thread have re-released their Vivienne Skirt and Blouse Pattern, now available in a PDF Download. 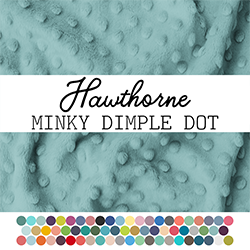 We're so excited that they chose one of our In House pritned fabrics to showcase the launch! Ashley Cowan selected the bold Be Mine Blooms, printed on our Poplin option, from Indy Bloom's new I Heart You collection. The romantic florals really play up the tulip style of the skirt just beautifully. There's still time to sew up something for your sweetheart! See our Valentine's Day Fabric round-up! I love that there are so many more design choices today that can thrill both mother and child. Indy Bloom has mastered that subtle art with her fabric prints and we're thrilled to offer a select group of her designs on our new peel & stick Wallpaper. Mindy does a stunning job marrying timeless florals with updated color palettes, offering us looks that are at once vintage and fresh. Blossoming in Periwinkle features soft pastels accented with black line work, giving this romantic look a modern edge that's just beautiful for bedroom decor. And with this recent room makeover by Cabana Rehab, we are not ashamed to say we are envious of a toddler's bedroom! Melissa has created a breathtaking space for her daughter to rest her head. Like all our house printed fabric collections, this range is printed right her in our shop and available in various widths on Poplin, Quilting Cotton, Linen Cotton Canvas, Rayon, and Jersey and Interlock Knit - Organic options too! For our newest Giveaway we are offering up a Fat Quarter Bundle of the new Spring Theory collection from dear Stella! Congratulations to katieleeattia, the winner of a Fat Quarter Bundle of the new Rhythm collection from Shell Rummel. Please send us a quick message to let us know where we should send this winning prize!